What is the Pass Promotion Network? 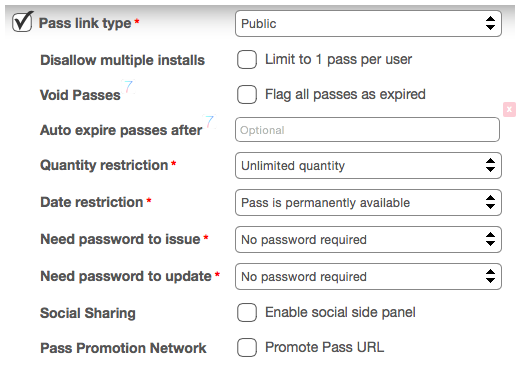 If you select the 'Pass Promotion Network' check box, every time you update and save changes to the pass, you’ll see the updated pass pushed onto the PassKit Twitter feed. This means that your Pass URL is promoted on our Twitter site, and downloadable by users. For those who are creating demo passes, it’s best to leave this unticked. This is what it will look like in the PassKit Twitter feed.